Outdoor post lighting is such a common form of outdoor lighting that it may just be your only source of outdoor lighting. Although post lighting is functional at night, it continues to showcase your outdoors' unique and elegant style throughout the day. Welcome your guests to your home with a decorative post lighting fixture, or add to the beauty and charm of your commerial property with post lighting. 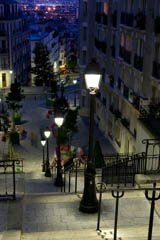 Changes in design and style have also changed the use and function of outdoor post lights. Many post lights are now used as a source of ambient light for a tranquil outdoor setting designed for relaxation. Making sure your post lighting compliments your outdoor environment cannot be left to chance. Planning is critical for proper execution of placement and selection of your post lights. Deciding what type of post lights to choose from is heavily dependent on the surrounding environment in which they will co-exist. You must consider the ultimate look you wish to accomplish once your outdoor environment is completed. Use inspiring pictures from your favorite garden magazines to get good ideas on what fits. Look around your home, what architectural styles do you see? What decorative features are there? Does your choice of outdoor post lighting fit into this scheme? You always want to make sure that your outdoor post lights will add to the overall look of your outdoor environment. Too large a post light will attract too much attention to itself, taking away from your outdoor environment. Too small a fixture will not add enough to the overall look, resulting in a mediocre finished look. Its important to measure the height of your post light before making your final purchase.The proper height of your post lights will vary based on the desired use and location of your lights. For example, a post light placed near a walkway must be positioned high enough so it does not blind people passing by. Your selection of post lights will vary based on the location in which you wish to install your lighting. Post lights made for outdoor deck lighting will look very different from post lights designed for outdoor landscape lighting. Your post light's location will determine what type of lighting effect you will ultimately create. A post light positioned further away from a highly traffic area will produce a sort of ambient light for your guests. If you wish to provide more task lighting for your guests you may consider installing additional outdoor lighting fixtures nearby high traffic areas or moving your post lights closer to your desired location. Decks and patios are a common hangout in the summertime and are great for entertaining guests and throwing parties. If you own a deck or patio, adding outdoor post lighting is a nice way to make it more inviting. Entertaining guests will be much easier with post lighting. Overhead lighting in high traffic areas like a deck or a patio is often not the most flattering form of outdoor lighting when entertaining. For one thing, it makes it hard to see people's faces because of it's overhead position. Overhead lights create an irritating shadow effect on people's faces, making it hard to see their facial expressions while in conversation. The right lighting can help solve this problem once and for all. Special post lights are available for deck lighting purposes that are amazingly useful at producing the proper lighting at eye level, eliminating the uncomfortable shaddows caused by overhead lighting. These lights are mounted right your deck's wooden posts at eye level while seated. This keeps them out of the way while helping to give your deck a clean, finished look. The same is true for outdoor patio lighting. Installing fixtures on top of a low standing wall can create the same effect. If your patio doesn't have a wall, low standing post lighting can provide the same effect and still be decorative. 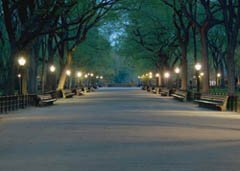 Often seen in commercial settings, outdoor path lighting using post lights is probably the best way to light any path. Post lights provide a decorative way to outline a small path or even a wide open outdoor space. Its important when spacing these post lights to make sure the light flows. Placing these lights too close together makes for an overwhelming experience. If possible try to keep your post lights evenly spaced to create a consistant look. Planning your outdoor post lighting setup is important for you to get the results you're after. Spending a little time now preparing will save you many unwanted headaches later.